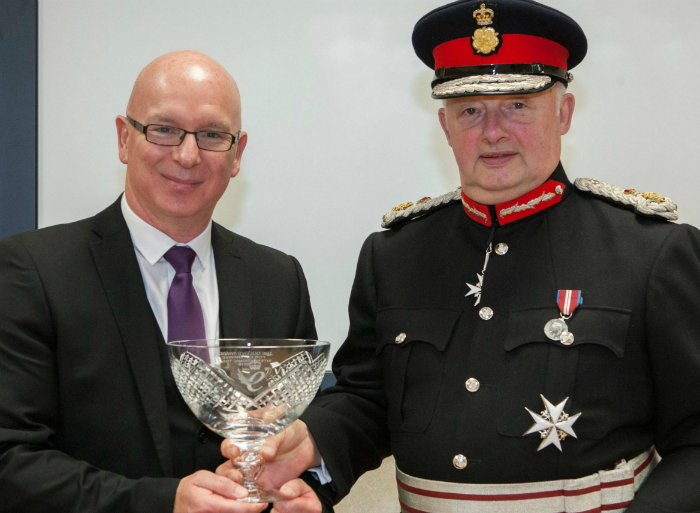 Holroyd Precision has received a Queen’s Award for Enterprise – the UK’s highest accolade for business success – for the fourth time. The award has been presented in recognition of Holroyd Precision’s achievements in International Trade. It has achieved year-on-year growth in exports, developing new markets globally for its highly specialised grinding and milling machines and creating new machine tool technologies. Over the last few months alone, the organisation has secured export orders worth in excess of £7 million. Precision Technologies Group, of which Holroyd is a division, has recently secured a number of other high profile business accolades. In February 2014, the company was the proud recipient of the Greater China Business Award for the North West. Also, in the same month, one of Holroyd’s young engineers was presented with the respected AMTRI scholarship at the Manufacturing Technologies Association (MTA) awards dinner. In June 2014, the business was then identified as one of twenty up and coming medium-sized subsidiaries of foreign companies in the inaugural Sunday Times PA Consulting Inward Investment Track. Finally, in November 2014, Holroyd was named as Apprentice Employer of the Year in the prestigious Rochdale Business Awards.